In 2005 I discovered that I had a gift of working with my hands and helping others. Since that time I made it my life’s work to help and improve the lives of others through massage, yoga and other wellness practices. After graduating from The Vermont Institute of Massage in 2006 and then 2 years of apprentice work I founded Exuma Massage in 2008. Since that time I have been providing professional massage services to the island of Exuma and its visitors. I am a certified massage therapist (over 11 years) and yoga instructor (over 7 years). I help people improve their physical, emotional and spiritual well-being, reconnect to their inner self, find energy, rebalance and instill a healthy lifestyle through yoga and massage. I am trained in a number of modalities and have logged several thousand hours in a variety of massage techniques and spa treatments. 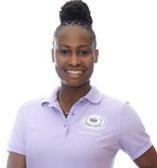 I have worked in The Bahamas both independently and as a massage therapist for multiple resort spas. My skills, caring nature and experience as a massage therapist is what I offer to my clients in every session. After many years of privately practicing yoga I was asked, in 2011, to teach daily yoga classes at a major resort here in The Bahamas, as well as two smaller resorts. This prompted me to study for and achieve my teacher’s certification in 2013. Since that time I have been providing private instruction to those wishing to find greater wellness in their life. Due to my professional experience and dedication, most of my clients are referrals. swedish esalen, deep tissue, hot stone, prenatal, reiki, advanced myofascial techniques (secrets of the spine and rib issues), hatha yoga instructor, small business management. I understand…. To meet the needs of those we help Exuma Massage now calls on a qualified team of sub-contracted therapists that have been hand-picked based on their knowledge and attitude. They maintain the highest level of integrity and utmost professionalism. Together we are committed to meeting the needs of each individual based on their specific goals.